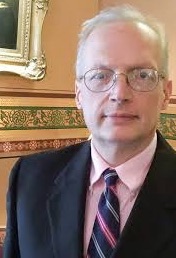 When Vermont Speaker of the House Mitzi Johnson last week replaced longtime House Transportation Committee chair and pickup-truck driver Pat Brennan, R-Colchester, she chose a new chair who doesn’t own or drive a car: Rep. Curt McCormack, D-Burlington. McCormack, an active member of the Legislative Climate Caucus, often rides his bicycle in the dedicated bike lanes along the streets of Burlington during warmer weather. He commutes to the Statehouse on the GMT Burlington-Montpelier Link I-89 commuter bus. He is believed to be the first Transportation Committee chair to not drive a car. The speaker’s selection of the bike/bus rider to take the lead on transportation legislation is no accident. Speaker Johnson wants House Transportation to focus on changing how public transportation helps working Vermonters get from here to there. Montpelier pushing public transportation is nothing new. For many years, state of Vermont transportation planners have been trying to lure Vermonters out of their beloved, convenient, carbon-emitting single-occupant cars and trucks. During a Statehouse interview Tuesday, McCormack confirmed that his committee will try to develop more public transportation and other alternatives to cars, such as bike paths. He cautioned that it won’t happen all at once, and that the power of a committee chair should not be overestimated. So far only two bills have been referred to Transportation: mandatory bike helmets for children, and a new specialty license plate to support water quality. Committee discussions during the first weeks of the session tend to be organization and educational. In short, there hasn’t been time for the new chair to imprint his support for alternative transportation on his committee. One thing is certain: Adding public transportation, no matter how beneficial to low-income Vermonters and the statewide economy, will require significant investment. As Brennan noted in a brief interview Tuesday, even the government of affluent, geographically dense Japan subsidizes public transportation. Until Chair McCormack and committee develop a plan, it’s pointless to speculate on costs and benefits. However, there is available public information about how much current public transit costs, and who pays. In 2016, the total operating cost for all Vermont public transportation (almost all of it by bus) was about $29 million, according to a VT Agency of Transportation report. That figure was up 21 percent from 2012, even though total riders served in 2016 (4,712,000) actually declined slightly from 4.8 million in 2012, which VTRANS blamed on the poor 2016 ski season. The average cost per trip in 2016 for all types of public transportation was $6.09 per rider, VTRANS said. Also, the report shows that the cost of inter-city bus travel – commuter trips from one municipality to another – was $31.84 per rider, by far the highest of any category of public transportation. In 2016, Green Mountain Transit changed its name from Chittenden County Transportation Authority to reflect its statewide presence and aspirations, following its 2011 acquisition of central Vermont’s Green Mountain Transit Authority. GMT has extended bus travel north to the Canadian border and east to St. Johnsbury. Yet passengers’ fares pay less than half the cost of operations. A 2014 GMT report reveals that the average passenger fare is about $1.25, while average per passenger costs are $3.37. The average commuter bus fare in 2016 was $3.50, while the actual cost per passenger was $7.39. A 2017 GMT report shows the federal government provides about half of GMT’s urban operations budget. Local communities chip in 20 percent. The state of Vermont funds 17 percent. If current practice is any guide, the heavy lifting to pay for new public transportation will be the taxpayers of local, state and federal government. Whether the benefits will be worth the investment will depend on the quality of the plan assembled by Chair McCormack and his committee. Vermont carbon tax, a great way for liberals to feel clever and morally superior while hurting hardworking Vermonters and the elderly. Another good Republican bit the dust thanks to a power crazed Lib, Johnson . That’s the trouble with the Senators in Chittenden County 6 of them!!!! Absolutely NO common sense, and certainly NO fair play. I expect they read these articles. Hey Libs you’re ruining the state. Take a break! You’ll get what you’re dishing out in time. Mass transit without the masses. Huge overhead, no ROI, more government waste. We’ve seen this before with the Shelburne rail.. Definition of insanity? More virtue signaling from progressives. Oh look at me, see how good I am. Sounds to me like he wants to force his life style on the rest of us. Who wants to live within biking distance of Burlington? I’d like to see them instigate bike registrations, mandatory insurance if they are to use the roads as motorists have to. AND adhere to the highway laws. I’ve seen them text and bike. AGREE! Too much money is spent on bike paths for absolutely no revenue. Any person over 16 riding on public highways/bike paths needs to register and have proof of insurance. YES insurance… liability coverage provided by a homeowner, condo or renters policy. Bicyclist do cause accidents.